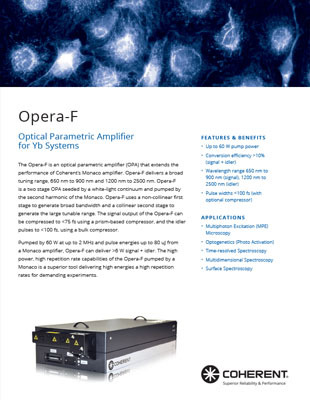 The Opera-F is an optical parametric amplifier (OPA) that extends the performance of Coherent’s Monaco amplifier. Opera-F delivers a broad tuning range, 650 nm to 900 nm and 1200 nm to 2500 nm. Pumped by 60 W at 4 MHz from a Monaco amplifier, Opera-F can deliver >6W signal + idler. The performance provided by the Opera-F pumped by a Monaco is a powerful tool delivering high powers at high repetition rates for demanding experiments. The Opera-HP is an optical parametric amplifier (OPA) used to extend the performance of Coherent’s Monaco amplifier. Opera-HP is a white light seeded two stage collinear OPA, delivering <300 fs pulses. Associated wavelength extension packages offer a broad tuning range covering 210 nm to 16 μm. Outputs from the UV to Near-IR (210 nm to 2600 nm) are delivered via hands-free, computer-controlled, automated tuning and wavelength selection ensuring the same position and direction. Pumped by 60W at 1 MHz from a Monaco amplifier, Opera-HP can deliver >6W signal + idler at the peak. The high power, high repetition rate capabilities of the Opera-HP pumped by a Monaco is a powerful tool delivering high energies a high repetition rates for demanding experiments. 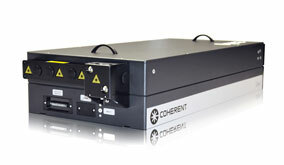 Coherent has been enlightening lifescience imaging for more than 25 years. 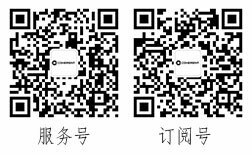 Use the link below to learn about the Coherent products that have been making it possible for MPE users to focus on their samples instead of the laser equipment.